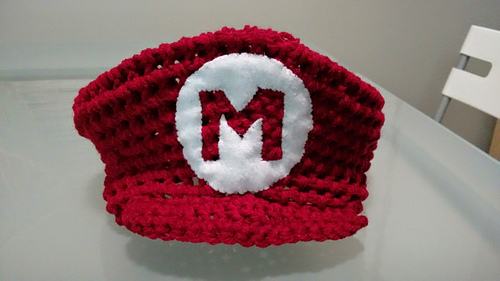 If you have any questions or find any errors please let me know so that I can update the pattern as necessary. 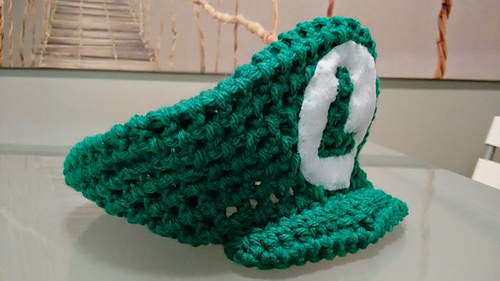 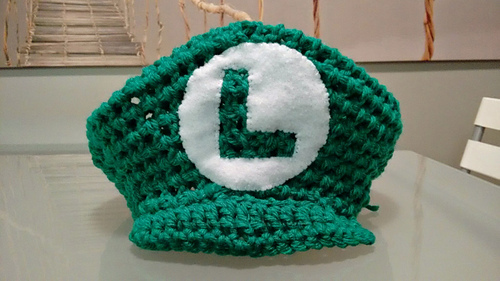 This is a pattern to make a hat similar to the ones Mario and Luigi wear. 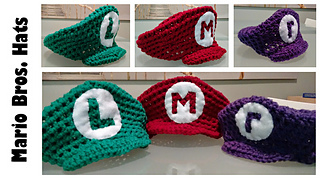 The pattern uses single, half double, double, and treble crochet. 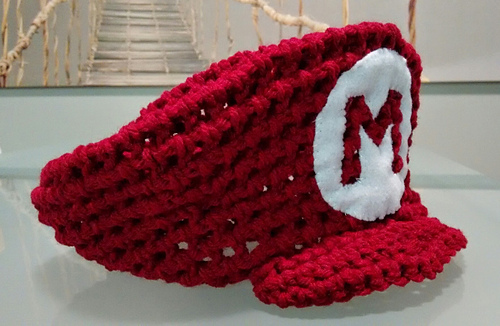 The body of the hat is created by crocheting inbetween each double crochet, creating a filet-like pattern without the use of chains. 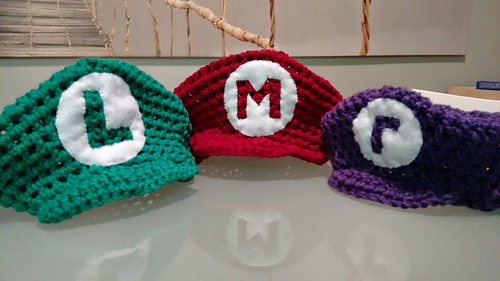 The pattern is written to fit a teen or small adult’s head. Smaller or larger sized can be obtained by using different hook sizes.